Compass Chiropractic & Wellness aims to create everyday miracles for your family’s health. We treat the whole body by making sure your spine is properly aligned so that your nervous system is functioning properly. 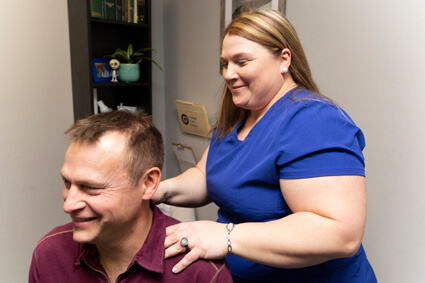 Not only can this help with pain relief, but regular chiropractic care can also allow you to live a better life by improving your overall wellness. We are happy to accommodate patients who may be feeling nervous about their first visit. If you have questions or concerns about your care, please let us know .We will always listen! Our doctors look forward to welcoming you and your loved ones into our practice. 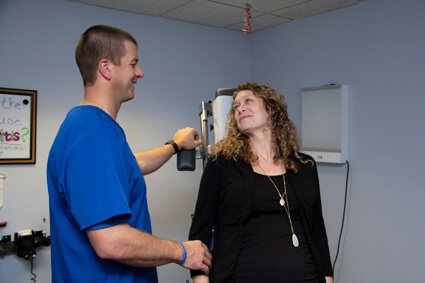 During your care, we’ll educate you on how chiropractic works and what it can do for you specifically. Get started today by booking your first visit with us!